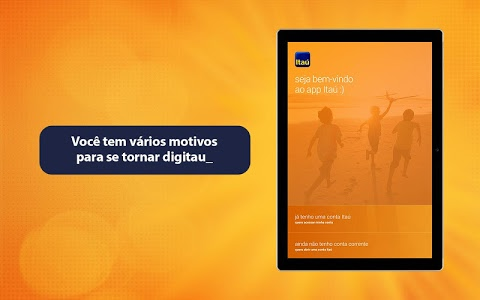 O aplicativo do banco Itaú está cada vez mais moderno, com ele, você realiza diversos serviços de onde estiver através do seu tablet. 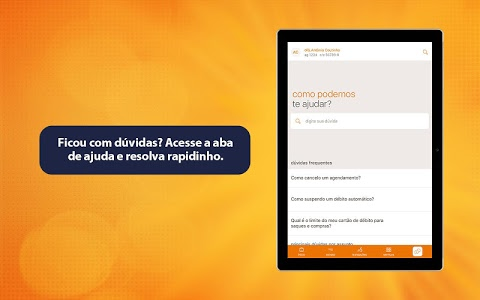 Com o app Itaú para Tablets, você pode acessar sua conta a qualquer hora, consultar seu saldo, realizar transferências e pagar contas com toda a segurança que o Itaú oferece. O app Itaú para Tablets é exclusivo para quem possui uma conta Itaú. 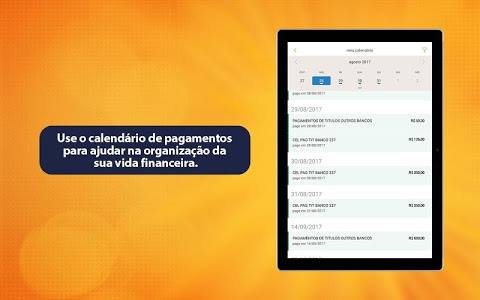 Itaú bank's application is more and more modern, with him, you realize several services where you are using your tablet. With Itaú app for tablets, you can access your account at any time, check your balance, make transfers and pay bills with all the security that Itaú offers. • Send your vouchers transfers and direct payments of the tablet without taking print. 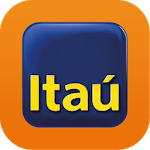 Itaú app for Tablets is exclusive to those who have an Itaú account. Enjoy all the advantages of being a client and download the application Itaú today. Nesta versão, fizemos melhorias e correções de bugs. Similar to "Itaú para Tablets"